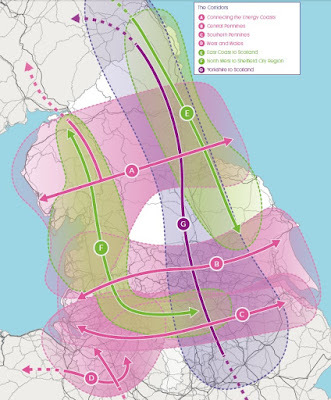 Transport for the North (TfN) has published its thirty year plan, the first of its kind, which outlines how transport connections across the North of England need to be transformed by 2050 to drive growth and close the economic gap between the North and the rest of England. TfN brings together representatives from across the North and is being given statutory status by the Government so that the organisation's plans are formally considered by Whitehall when taking decisions about transport investment in the North. 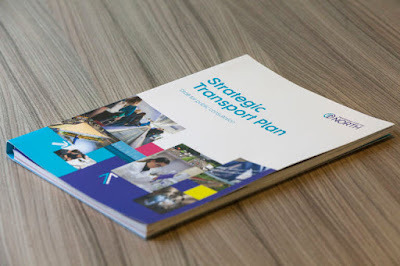 Aimed at rebalancing the UK's economy through a sustained 30-year programme of transport infrastructure investment, the Draft Strategic Transport Plan could deliver a £100 billion economic boost and 850,000 additional jobs by 2050. The organisation is working to make it easier for people and goods to travel across the region, improving access to jobs, supporting businesses and improving the movement of freight and goods across the North and to ports and airports. Seven corridors of opportunity are identified in the plan that are key to achieving these aims. For example, Rotherham and the Sheffield city region (SCR) are key to the Southern Pennines corridor which identifies proposed road and rail improvements from the Port of Liverpool to the Humber Ports, via Cheshire, Greater Manchester and Sheffield City Region, as well as strengthening cross-border movements into the East Midlands. The North West to Sheffield City Region corridor looks at strengthening rail connectivity between the advanced manufacturing clusters and assets in Cumbria, Lancashire, Greater Manchester and Sheffield City Region, with improved connectivity from the North in to Scotland. Alongside the corridors, Transport for the North has for the first time outlined its emerging vision for Northern Powerhouse Rail (NPR), a rapid, reliable and resilient rail network between the North's six biggest cities and other economic centres. This is accompanied by an updated Rail Strategy for investment in the North's existing lines, stations, services and franchise operations, reflecting the planned integration of Rail North into Transport for the North in April this year. The vision for NPR includes upgraded lines between Sheffield and Manchester and Sheffield and Hull. The Government has been working closely with TfN in the development work for junctions between NPR and HS2. For example, a junction north of Sheffield at Clayton, would enable trains to run through Sheffield and re-join the HS2 mainline to Leeds. It is being considered in the design by HS2 Ltd as part of the Phase 2B Hybrid Bill work but the loop North of Sheffield has not yet been committed to. Using new junctions on to the HS2 mainline in Yorkshire, Sheffield to Leeds journey times could be around 26 minutes, compared with 41 minutes currently. Another project that is progressing is the Trans Pennine Tunnel. TfN is leading on developing alternative options after a long tunnel under the Peak District National Park was considered to be technically feasible but would have a cost that would be prohibitive and offer poor value for money. The investment priorities are backed up by research that links the North's prime capabilities in advanced manufacturing, digital, energy and health innovation. Rotherham is picked out as an economic centre and improving access to the Advanced Manufacturing Park (AMP) and its assets is a priority. John Cridland, Transport for the North Chairman, said: "The North is a rich, diverse region and home to around 16 million people. We have vibrant communities, buzzing cities, five stunning national parks, an abundance of talent and a wealth of high-performing businesses. Transport for the North's vision is of a thriving North of England, where modern transport connections drive economic growth and support an excellent quality of life. "For the first time, civic and business leaders and transport operators are speaking with one voice on transport to make sure the North fulfils its potential. Our plan proposes a revolutionary investment programme that will make it possible to travel to high quality jobs. This is an ambitious programme that will improve our roads and railways, and will also drive a sea change in skills development in the North and ensuring we meet that historic gap in investment." Martin McKervey, a Sheffield City Region LEP Board lead member for Transport, and a member of Transport for the North Partnership Board, added: "Sheffield City Region has worked closely with Transport for the North in the development of this important Plan and we are very supportive of its aims and ambitions with regard to the strategic role of transport in enabling the realisation of the Northern Powerhouse." The SCR has recently published its own transport strategy that aims to grow the regional economy by £500m, boosting economic growth by making it easier for people, particularly those in the most deprived areas, to get to work or places of education.